Jessica's Crafty Creations: Another sketch challenge! 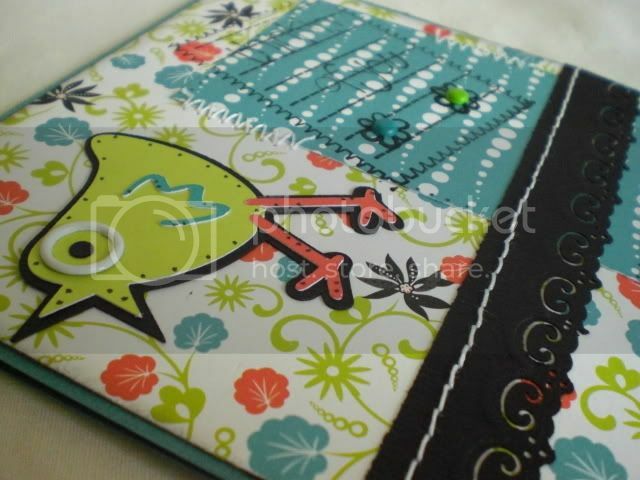 Here is my card for sketch # 3 over at 2 Sketches 4 U. I cut the bird with the Pazzles. 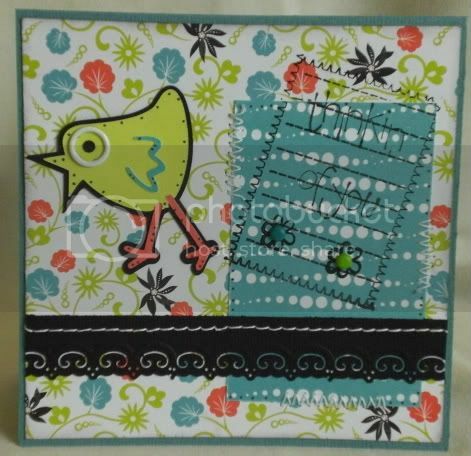 This card features stamping, a grommet for the bird's eye, sewing and brads (center of stamped flowers). This card is for sale over at my ETSY shop! Love the colors and the black Jessica! Great job on Laura's Sketch this week. Love how you made that little birdie's eye! Cute card! Jessica this is so stinkin cute!!!! I love the lil bird! Great take on my sketch! LOVE the color scheme on this & the bird is too dang cute. Love your card!! How fun!! I love how you added the sentiment on an angle. The bird is very sweet! Very cool colors!! Cute card! A very very cute card! That is such a cute card, love the colours you have used. I love this card....the colors are great!! Love your take on the sketch - brilliant! This is sooo cute! Love the whimsical look to it! Great vibrant colors! Love your take on the sketch. That bird is adorable with the grommet eye! This is adorable!! What a cute little birdie! Great job with the sketch!